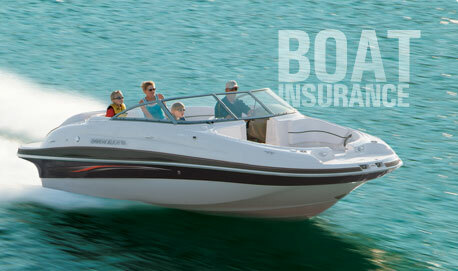 Get Quick Boat Insurance Quotes Online Now or Call Us at (888) 997-8683! Save Both Time & Money insuring your boat with OnGuard! As authorized agents for multiple boat insurance companies, we’ll shop the market for you to find you great coverage at a great low rate. Finding Low Rates on boat insurance has never been easier; Get your quick Boat Insurance Quote in just seconds online or call (888) 997-8683 to speak with an Agent! Our Boat Insurance Quotes are quick & easy and there’s no obligation to buy. We’re confident that we can find you the right boat insurance quote with the right company at an affordable rate. See how much we can save you on boat insurance; Get a Quick Boat Insurance Quote Online Now or Call (888) 997-8683 Today! We offer affordable boat insurance as well as other watercraft insurance such as yachts & jet skis. With the ability to quote, write & service through multiple companies, finding cheap insurance for any of your watercrafts has never been easier! Compare, Quote & Buy Boat Insurance; Get your quick Boat Insurance Quote in just seconds online now or call (888) 997-8683 to speak with an Agent today! We work with different boat insurance companies in different states to bring you some of the best rates available. We work with companies like Progressive, Travelers, Nationwide, Hagerty & more. We know who’s competitive & we’ll shop them all for you to bring you the best boat insurance rates. Get Your Boat Insurance Quote Online Now or Call (888) 997-8683 Today! As authorized agents for multiple top rated watercraft insurance companies, we’ll place your coverage with the right carrier at the right price. We work with companies like Progressive, Nationwide, Travelers, Hagerty, American Modern & more to bring you a wide range of coverage options & acceptability at a great low rate. Regardless of the type of boat you have, weather it’s a new power boat, a jet ski, or even a classic collectors boat, we’ll compare the market and bring you some of the best options out there for you. Request a quote in just seconds online or call (888) 997-8683 to speak with a licensed Agent! These are the most popular type of boat. Powerboats are used for fishing, cruising, pleasure activities, water sports, etc. See more on powerboat insurance. Boats that use at least one sail for power but may also have a motor for an additional power source. Insurance for a sailboat without a motor may be a bit more affordable. See more on sailboat insurance. These are usually much larger boats that are designed for slower movement and have full kitchens, bathrooms, bedrooms and other common areas. When choosing your houseboat insurance protection, consider our coverage for carry-on items. This will insure your cell phones, clothes or other personal property on board up to $5,000. Houseboats used as a primary residence cannot be insured on your boat policy. See more on houseboat insurance. These typically include modifications/features designed for fishing, such as such as trolling motors, power poles, fish finders, etc. These boats are built on pontoons (usually hollow metal cylinders) with flat surfaces to walk or sit on. Many pontoons are designed for slow movement on inland lakes and rivers. Common PWCs include Jet Skis, Sea Doos, Waverunners or similar vessels usually for one to three people. See more on Jet Ski Insurance. Classics, Antiques, & Collectors Boat insurance. We have markets that will take your old boats of value and insurance them at an affordable rate. Your hard to place boats are easy for us to insure. You’re all about having fun, we’re all about insuring your toys that take you there. We have multiple companies that offer competitive rates on insuring even your most expensive toys. We may have to take your yacht for a spin before we insure it be we’ll get it all handled for you with great coverage at an affordable rate! See more on Yacht Insurance.